Posh director of football Barry Fry has opened talks with the 25 year-old in an attempt to extend his contract beyond the end of next season amid interest from the likes of Blackburn, Bristol City and Nottingham Forest. Posh boss Steve Evans said: “Gwion will be one of my main men next season. He’s so important I’m sure the club will relax their policy of placing players entering the last year of their contract on the transfer list. “I’m not aware of any specfic interest in Gwion, but obviously I want him here. “I want wingers who can get up and down the field and contribute goals and assists and there won’t be many better players than Gwion to do just that in League One. Meanwhile Posh chairman Darragh MacAnthony has revealed Evans took a pay cut to take charge at the ABAX Stadium. MacAnthony made the revelation during an impromptu chat with the club’s fans on social media yesterday (May 16). MacAnthony said: “Steve’s contract with Posh is 30 per cent lower then his previous contracts. 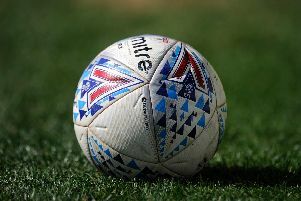 Evans, who left Mansfield for Posh, has already made two new signings for next season as goalkeeper Aaron Chapman and centre-back Rhys Bennett arrived for nothing from League Two sides Accrington Stanley and Mansfield respectively this week. “I haven’t spent any money yet, but I will,” Evans joked. Posh will go to Portugal for a week-long pre-season training camp from July 15 which will include two friendly matches.